WordPress 3.9 is out recently, and I wanted to keep TipsArea up to date (especially after the recent HeartBleed bug found in OpenSSL). Before performing the update, I would like to backup my WordPress contents first. 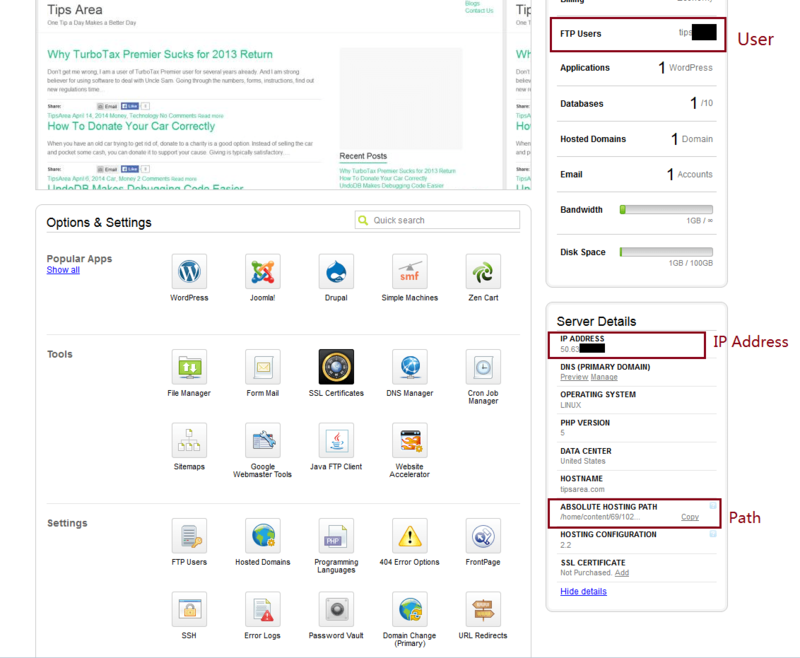 Here are the steps that I took to backup the blog hosted in GoDaddy. Login to your GoDaddy account, select “Hosting->Databases->MySQL”. It will show the databases you have in your website. Choose “Actions->Backup”. You can also delete or restore the database from there. After the backup completion, it will create a _db_backups directory in your WordPress root directory, which can be downloaded along with the web content in Step 5. Step 2: Figure out the FTP server information needed for downloading content. 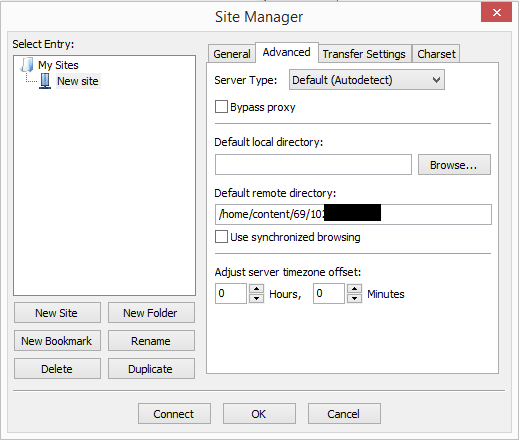 Select your site under Hosting, it will show the required information you need to download the content, which includes the server IP address, User name and Hosting Path. 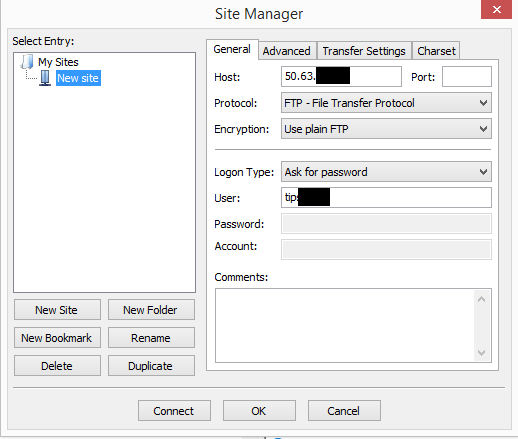 You can also manage the FTP user accounts by clicking on the “FTP User”, such as add/delete user, change password, etc. Step 3: Download all the contents in root directory. 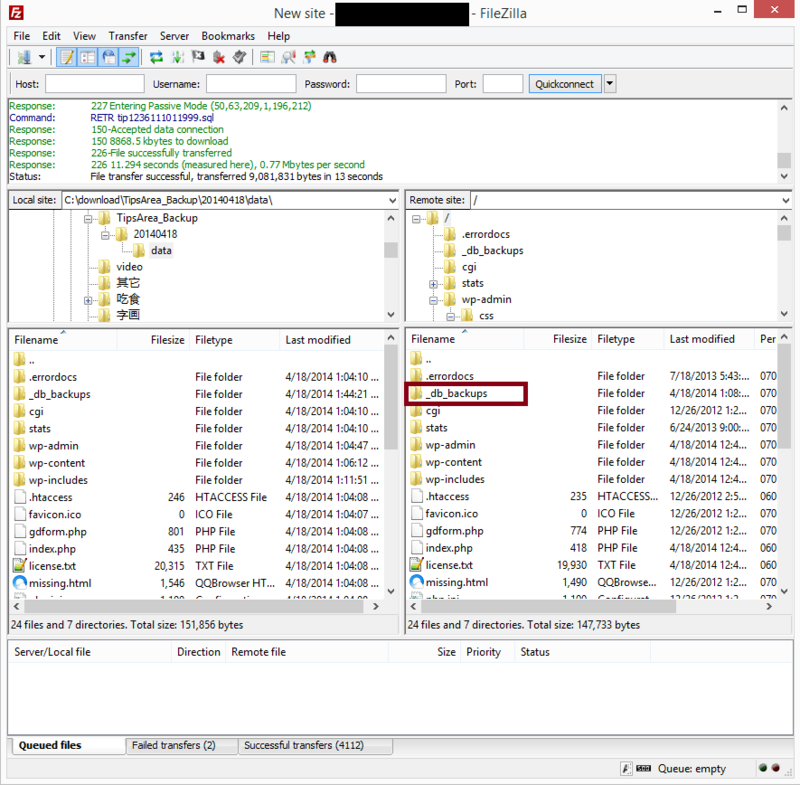 In the screen shot, I show how to use the information from Step 2 in the FileZilla client. 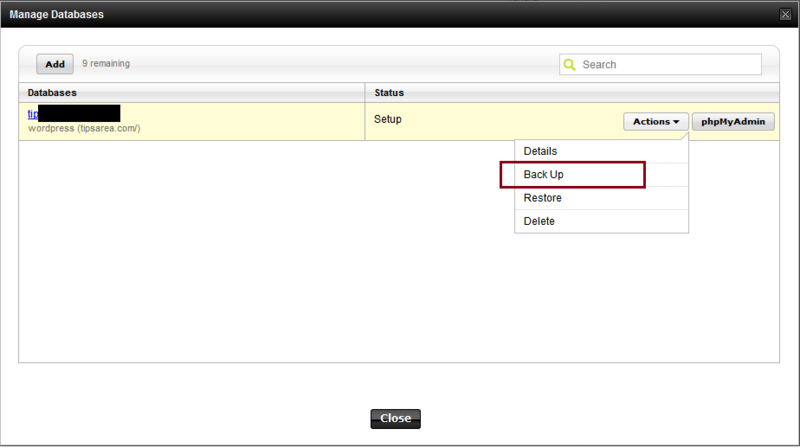 Notice the _db_backups directory created from Step 1. Hope it helps for your updates.